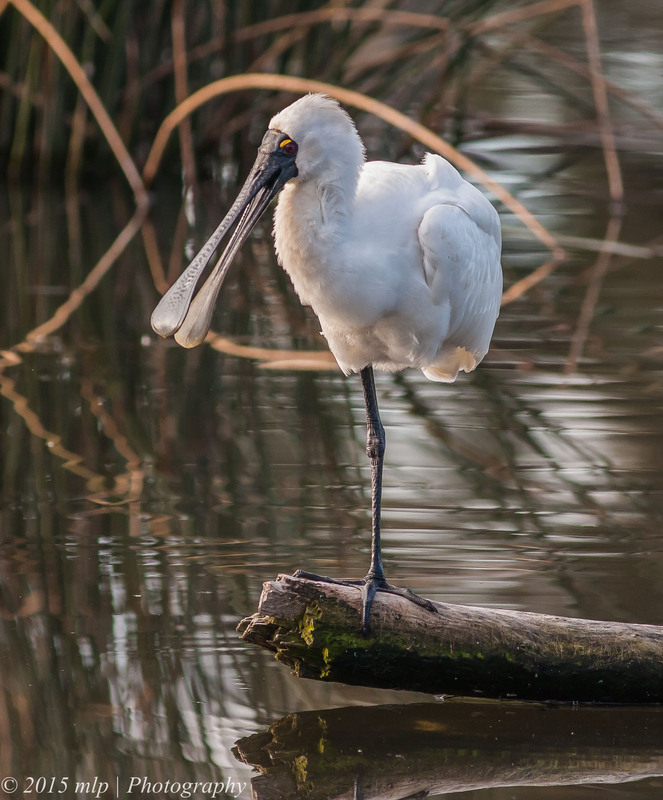 Only once before have I seen a Royal Spoonbill roosting at the Elster Creek lake in the golf course. 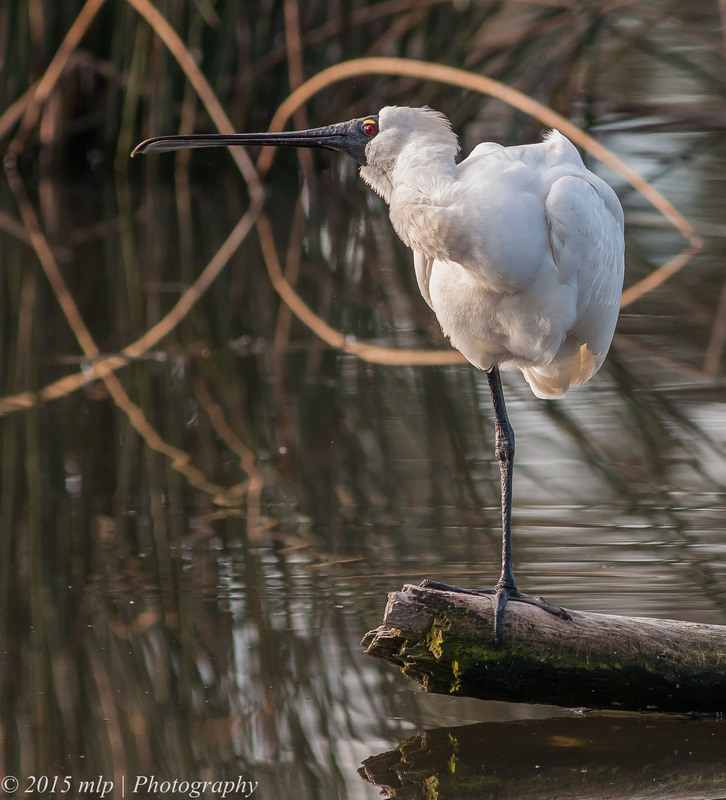 On a recent sunny Winter’s day I walked along the creek doing my rounds and I noticed a large pure white bird taking a nap on a log. It was larger than the local Egret. 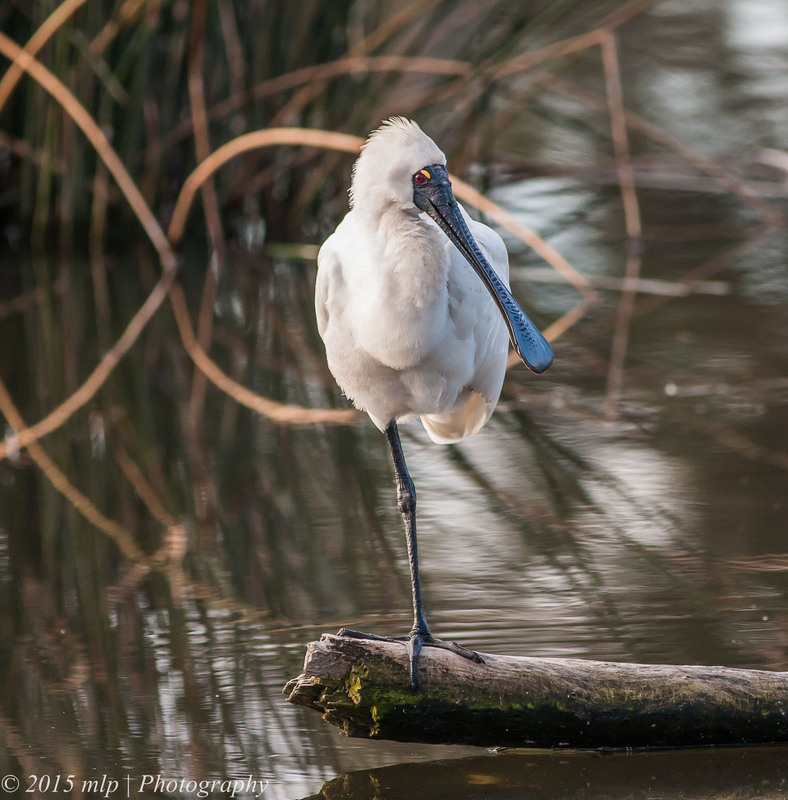 I spent some time quietly watching the Spoonbill and taking a few shots. 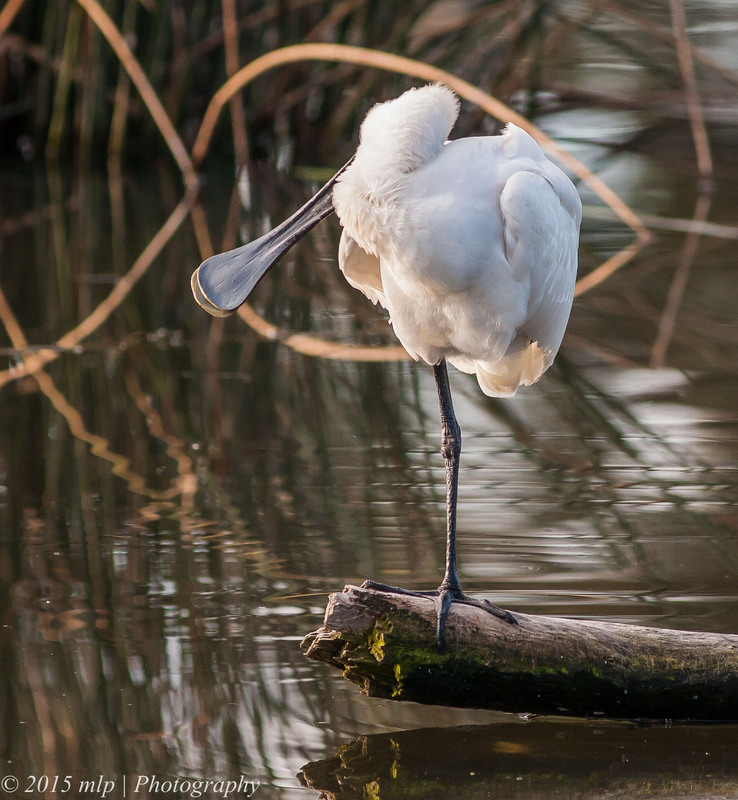 The bird stretched, yawned, swapped legs and generally napped. 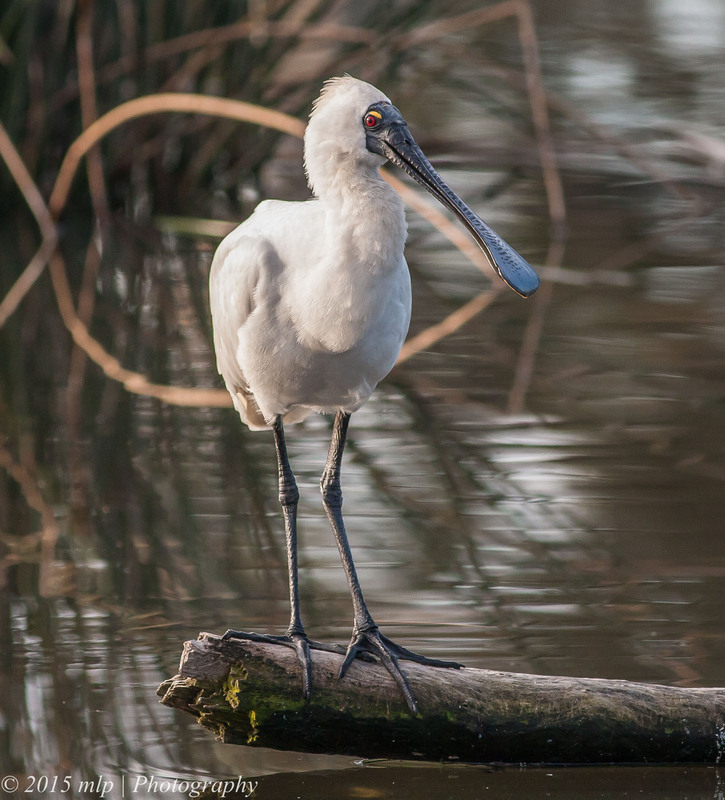 The Spoonbill gave me a good look at the bill and how well it is designed for working in the sand and mud. It uses the bill in the water and down to the sandy bottom (40cm or so) and hunts for shrimp and in freshwater mud it looks for small fish. It uses a side to side motion until something hits the sensitive part and is quickly scooped up. 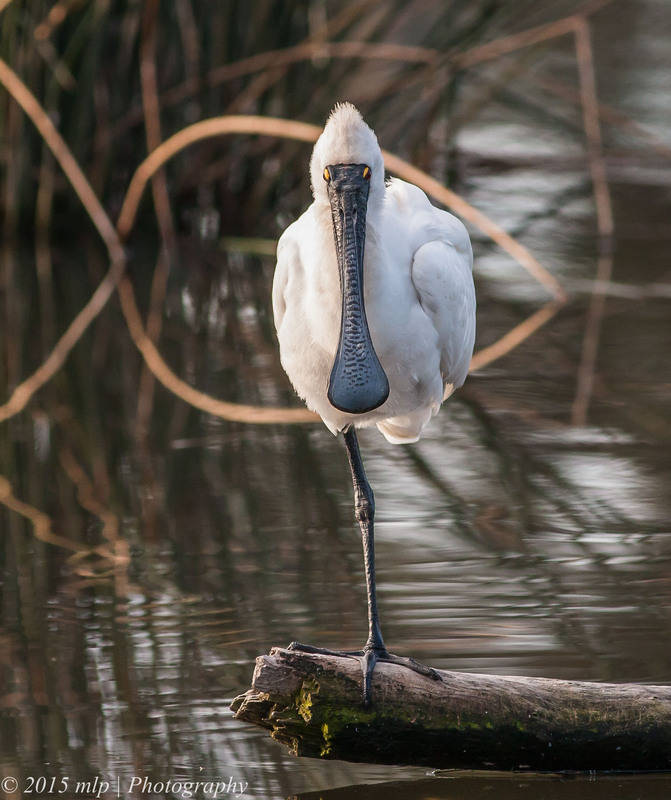 It was the first time I got a good close look at the Royal Spoonbill and they have a remarkable face and bill and the toes impressed me as well. I have not noticed how big and versatile they are. Another bird I can add to the local birds list. 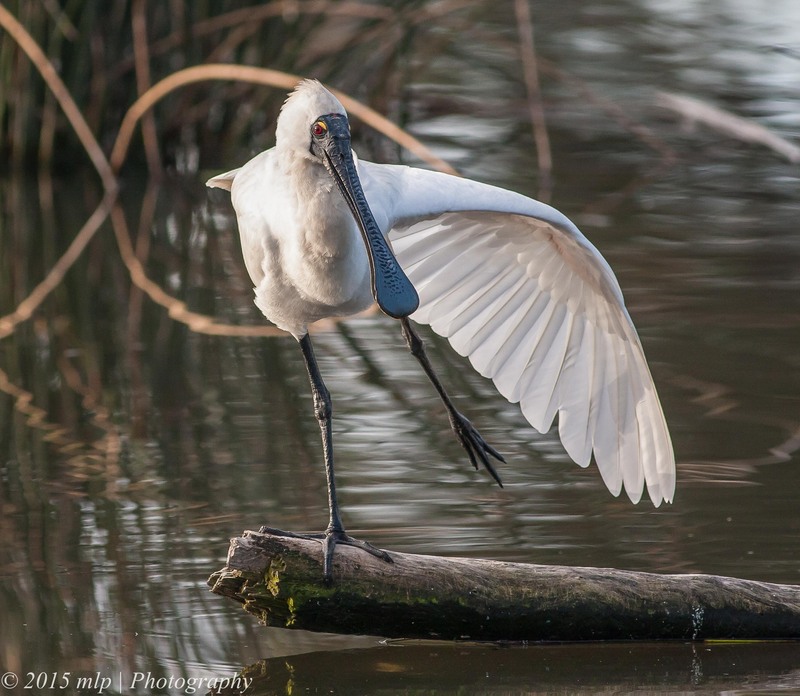 This entry was posted in Birds, Victoria and tagged Australia, Australian Birds, Bird Photography, Elster Creek, Nature Photography, Royal Spoonbill, Victoria. Bookmark the permalink. 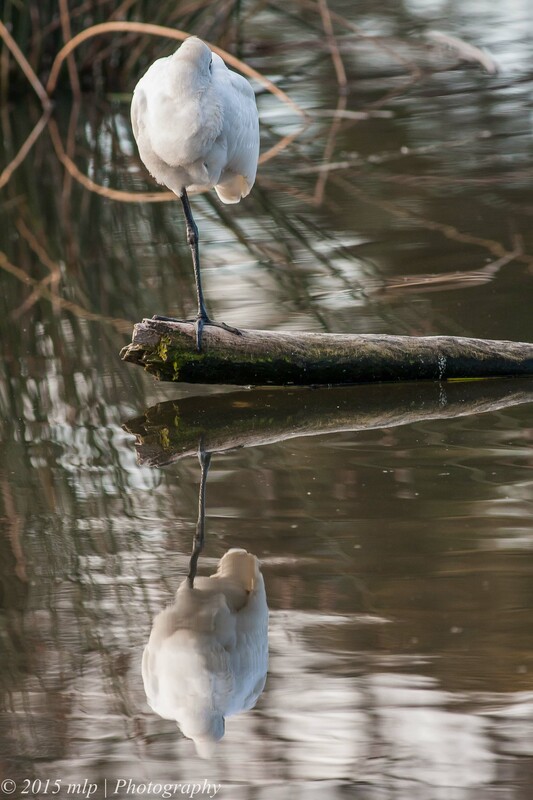 What a cool bird! Great photos!